Very few armchair reviewers actually ask the question: What would make a microphone specifically suitable for voice-over work? Prior to that, Gefell had never really been on my radar screen, but when I discovered that Georg Neumann had founded the company in 1928, I was intrigued. Gefell itself had been operating under the East-German radar for years, until the Berlin Wall came down. Now, their hand-made microphones are used in the United Nations, the German Parliament and in The Vatican, as well as in the studios of the BBC and other networks. Strangely, the company logo is laser-engraved on the back of the microphone. The model and pick-up pattern symbol are on the front of this side-addressed design. 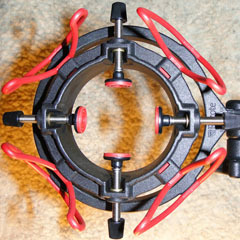 There are no switches such as a bass rolloff, and the M 930 Ts has just one pickup pattern: cardioid. This microphone exudes sophisticated simplicity. 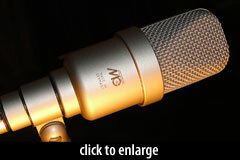 If you subscribe to the “bigger is better” theory, you’re not going to like this mic. However, if you believe that small is beautiful, you will love it. A few years ago, my studio went almost completely paperless, and these days I read my voice-over scripts off the computer monitor in front of me. For the first time, I now have a microphone that is not disturbing my field of vision. That’s exactly why the M 930 was developed in the first place: to be discreet. I already find it much easier to concentrate on what’s in front of me, because there’s very little in my way. When my prize arrived, I was already testing a few new microphones in different price ranges. What immediately struck me was that the M 930 Ts is a neutral, natural sounding mic. This is not a microphone that will add a lot of extra “oomph” or a distinct color to your voice, but the sound isn’t exactly thin either. Just like its older brother the M 930, its sound is quite rich without being fat. It sounds transparent, or “unfooled around with” as they say in the commercial. That’s exactly what most of my clients want. They like my audio to be crisp and clear, and if it needs to be sweetened, they’ll take care of that in their studio. As far as I can tell, the M 930 Ts is not yet sold in the U.S. but in Germany it retails for about 1350 Euro (around $1780). The only complaint I have is that this microphone comes with a “hard mount” rather than a shockmount. Gefell charges a shocking $300 for an elastic suspension, and over $200 for a rubber isolation “donut” mount. This mic is quite sensitive, and I do recommend getting something to isolate it. Because it is so small, a universal shock mount won’t hold it securely. Fortunately, I have found a perfect solution at a reasonable price, but more about that in a later review. The samples were initially recorded in 24-bit, 44.1 kHz WAV format and converted to MP3. I thought it would be fun to record one sound bite in Dutch. After all, it is my native language and because the content doesn’t really matter, you’ll be able to focus on the unprocessed sound. What you’ll hear is the short poem Memory of Holland by Hendrik Marsman. Next, I recorded my voice at 10, 7 and 5 inches from the microphone. Finally, I started recording in front of the mic and then I moved to the left and to the right. This should give you a better sense of the way this microphone picks up the source of the sound. 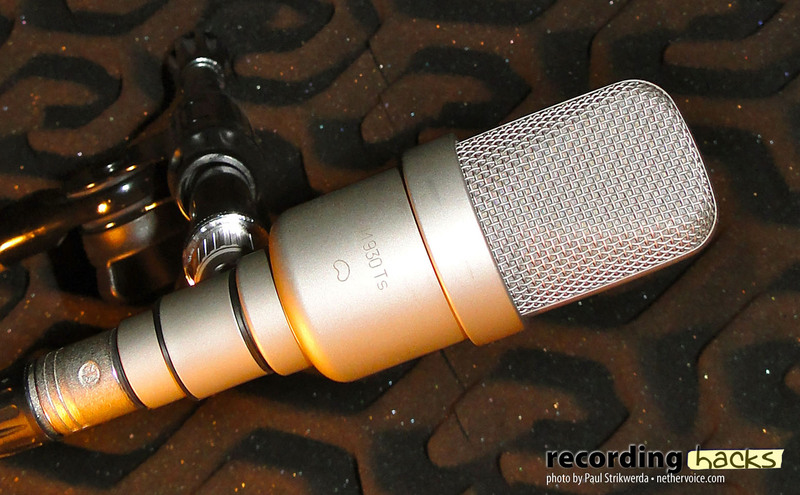 Due to its price tag, this is certainly no entry-level mic, but let’s remember that Gefell microphones are still made, measured and tested by hand in Germany. Great things do come in small packages, and — just like me — the Gefell M 930 Ts is a winner! Paul Strikwerda is a multi-lingual voice actor based in Easton, PA. Learn more about his voiceover work at Nethervoice.com. Needless to say though, the 930 is now on my list things for Santa to get me next Christmas. Thank you, Mike. 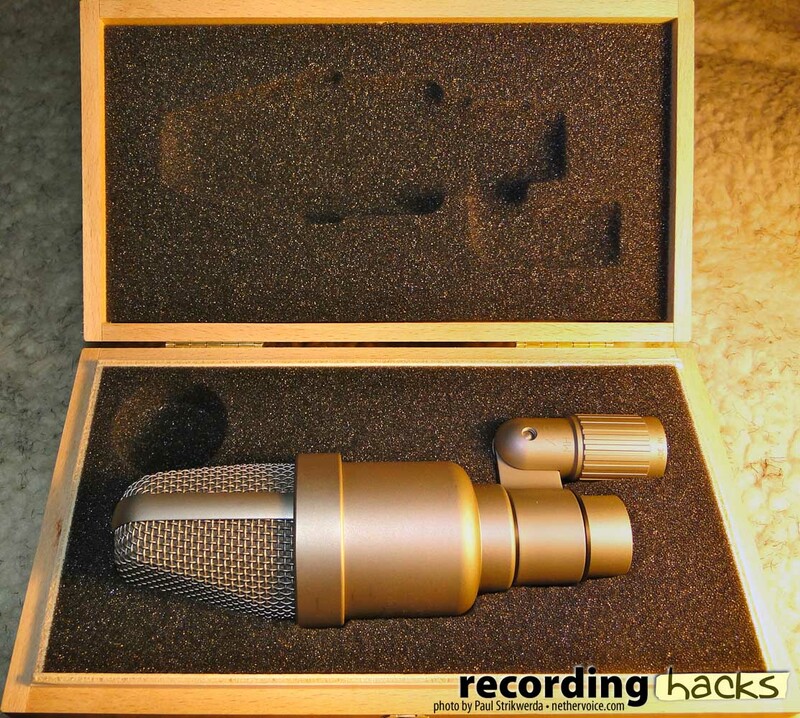 The MicPort Pro is something I know many voice talents use, either at home or on the road. That’s why I picked it for this review. I just paired the M 930 Ts with my Grace Design m101 preamp, and it gave the microphone even more presence. Samples will be posted on SoundCloud soon! Glad you geared it towards VO talent since that’s all that’s relevant here. I imagine that the M930 Ts would be pricey for a lot of talent. I’m turning into a mic collector so I’d love to hear the sound. It’s interesting that it’s so compact. A plus for the traveler! It’s good that you didn’t get too heavy into the specs stuff since many talent can’t relate much to that. It sounds very smooth, clear, natural with a good proximity effect and rear rejection level (as you put it). That point is often not covered much in mic reviews but is important here since so many of us are just a foot or so from our computers when at the mic. Looks like you’ve won yourself a great mic! Enjoy! Thank you, Rick. I feel very lucky indeed! I think it’s good to remember that part of why so many microphones are relatively cheap is the fact that more and more of them are made in countries like China. Wages are a lot lower and quality control is sometimes an issue. Like you, I’ll always be curious to hear the latest (and possible greatest) microphones. That’s why I love a site like recordinghacks.com! I know that this Gefell will faithfully capture my sound for many years to come, and I couldn’t be happier with my prize possession. Excellent review, Paul. The detail present in your Dutch read is superb. I’ll look forward to listening again in my studio. Any chance you could put the mic next to a well-known mic like a 416 or a 103 so we could get a better sense of the size? Let me put it this way: the Gefell fits in the palm of my hand. It’s 5.11 inches from top to bottom and 1.7 inches in diameter. In one of the pictures, the Gefell is next to the MXL VO: 1-A, an Avantone CK6 and a Lewitt LCT 640. Excellent review Paul, and exceedingly well-written. I wonder how my plain-jane M930 would sound like compared to the newer Ts version? In any case, I am very, very happy with my own M930. It is the “go-to” mic that I’ve been searching for, oh, for about a decade. But you know, I’d never take such an expensive mic on the road with me. I’d be far too nervous about damaging it. Condenser mics are very sensitive. My current travel rig includes the MicPort Pro (of course) and an inexpensive AT2050 that sounds “good enough” for non-broadcast at least. My guess is that -with the growing number of iPad users- people will increasingly use plug-and-play solutions like the MiC by Apogee when they go on the road. I can definitely understand your reservations about taking an expensive studio condenser with you. Of course I have not subjected my microphone to the “Samsonite Test” and I don’t think I ever will. Because of its size, the M 930 makes a compact companion. I’m sure I could find a solid travel case to transport this mic in, or I could take it with me as hand baggage. However, when I’m on the go, I prefer to leave my work behind for a few days and enjoy some R & R! Great review Paul. Even with a quick listen on my laptop… it sounds great. Thank you Dan! For those recordinghacks-fans that do not know Dan, he’s a voice-over talent with a background in audio engineering. Hi Paul – you sound terrific – especially liked the up close and personal at 5″ – you sound right there! Do you have a whisper room? It sounds so clean. Maybe one day, but my Rode NT 1000 will have to suffice for now. I get all of the above mentioned – slight distortion if I go into mic too close, sibilance and I’m having a problem with some of my p’s. What is the MicPortPro? Similar to an Apogee? @Gillian, yes, the Micport Pro is like the Apogee ONE or Duet, in that it converts the analog microphone signal into digital audio. In a nutshell, it lets you plug a microphone into the computer. 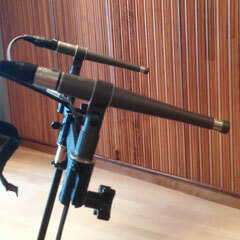 In my experience, Rode mics tend toward the bright side of the sonic spectrum. And I suspect the edge-terminated capsule in the NT1000 might be more prone to popping and distortion than a center-terminated capsule. You might have better luck with a different mic. Thank you Gillian! The CEntrance MicPort Pro is a popular portable mic preamp with a built-in 24bit/96kHz A/D converter. I record all my voice-overs in a virtually soundproof booth which I built in my basement for under $2000. Enjoyed the review. Lucky man! Would that I could afford that mic. Since I’ve retired from broadcasting, I’ve set up a “home studio” in an attempt to continue using my voice. I’m currently using an MXL-009USB. I like the convenience of just plugging it into the computer. I’d be interested in your opinion of that particular mic. So far, it seems to be doing a great job. @Ron, we haven’t tried the 009.USB, but I know it is one of MXL’s top USB solutions. It has a 24-bit ADC, which is important. 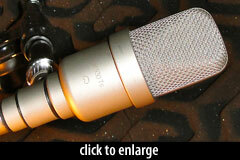 But the bottom line is, if you’re happy with the mic’s ease-of-use and performance, then it’s a great fit. Could you possibly record the same poem with your other microphones, for the sake of comparison? 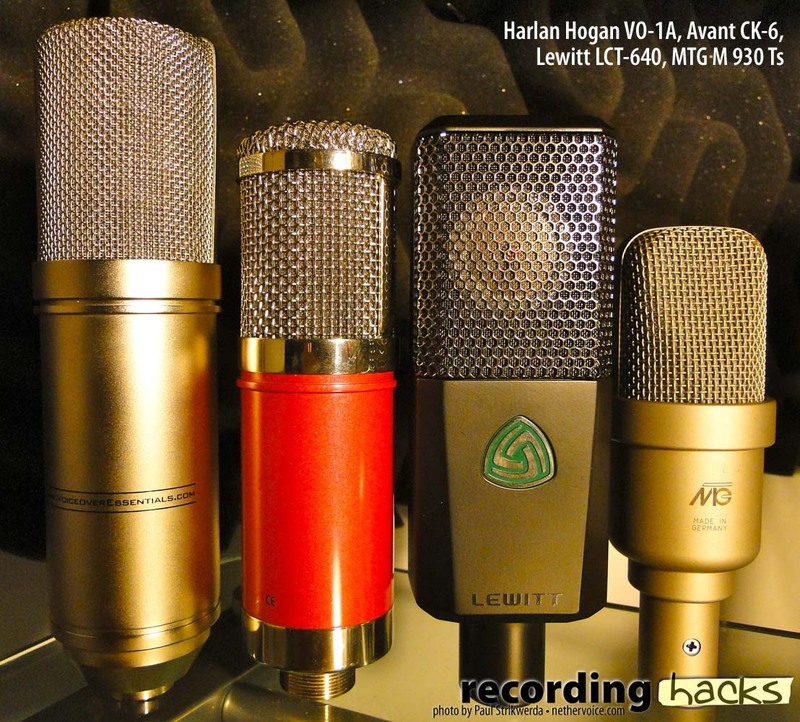 A head-to-head comparison would be interesting, but the article is written as an evaluation of the Gefell M 930 Ts and not as a microphone shootout. Yes, but it can be hard for us, who don’t know what your voice sounds like in real life, to evaluate e M930 Ts without any point of comparison. 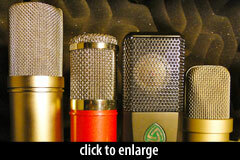 You took pictures of the M930 Ts together with other microphones to give a better idea of its size, didn’t you? Comparing sounds would serve a similar purpose, only even more relevant. Hi Pierre, perhaps we can do that in a future article. We do publish a lot of shootouts, and I personally believe that comparisons are useful, but I also want to make room for artists to state opinions and preferences without necessarily having lab results to back up those opinions. 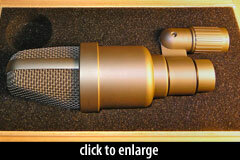 See Marc Mommaas’ “Quest for the Ultimate Live Sax Mic” series for another such example. Readers might disagree with his choices, but ultimately he’s the one who has to be satisfied. 1) I didn’t request lab results. I only wished for comparative recordings. Excellent review. 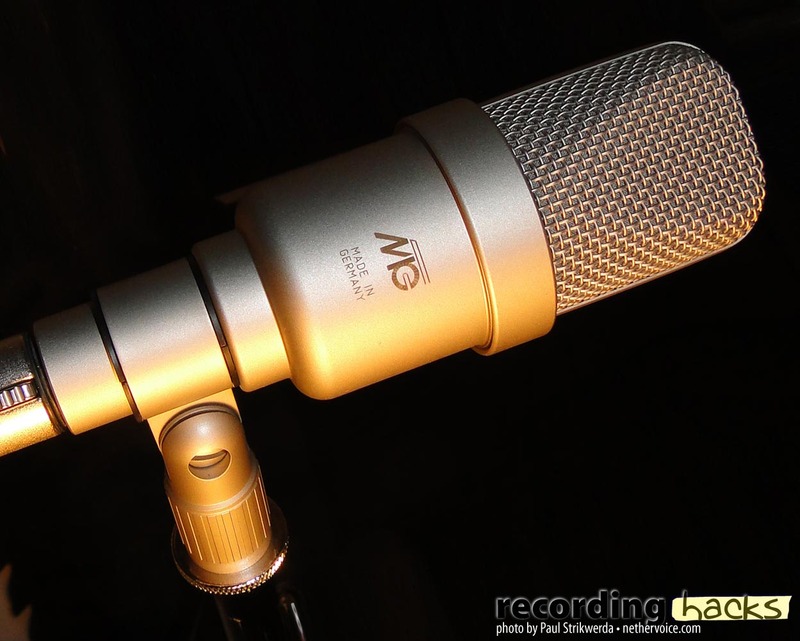 Gefell is -as always- an excellent choice As an owner of the 930 I like to recommend another MIc for VO if the price tag for the 930 comes too expensive. I like to recommend the Mojave FET 201. Check it out if you can´t afford the Gefell 930 TS. The Fet201 is crisp, clean and neutral for VO.